You have a nodule or goiter that is causing symptoms due to the production and release of excess thyroid hormone – either a toxic nodule, a toxic multinodular goiter or Graves’ disease. An isthmusectomy – removal of just the bridge of thyroid tissue between the two lobes; used specifically for small tumors that are located in the isthmus. The recommendation as to the extent of thyroid surgery will be determined by the reason for the surgery. For instance, a nodule confined to one side of the thyroid may be treated with a hemithyroidectomy. If you are being evaluated for a large bilateral goiter or a large thyroid cancer, then you will probably have a recommendation for a total thyroidectomy. However, the extent of surgery is both a complex medical decision as well as a complex personal decision and should be made in conjunction with your endocrinologist and surgeon. How should I be evaluated prior to the operation? What will be my physical restrictions following surgery? Will I lead a normal life after surgery? molecular marker testing of biopsy specimen which indicates a risk for malignancy. Surgery may be also recommended for nodules with benign biopsy results if the nodule is large, if it continues to increase in size or if it is causing symptoms (discomfort, difficulty swallowing, etc.). Surgery is also an option for the treatment of hyperthyroidism (Grave’s disease or a “toxic nodule” (see Hyperthyroidism brochure), for large and multinodular goiters and for any goiter that may be causing symptoms. ARE THERE OTHER MEANS OF TREATMENT? Surgery is definitely indicated to remove nodules suspicious for thyroid cancer. In the absence of a possibility of thyroid cancer, there may be nonsurgical options for therapy depending on your diagnosis. You should discuss other options for treatment with your physician who has expertise in thyroid diseases. As for other operations, all patients considering thyroid surgery should be evaluated preoperatively with a thorough and detailed medical history and physical exam including cardiopulmonary (heart and lungs) evaluation. An electrocardiogram and a chest x-ray prior to surgery are often recommended for patients who are over 45 years of age or who are symptomatic from heart disease. Blood tests may be performed to determine if a bleeding disorder is present. Importantly, any patient who has had a change in voice or who has had a previous neck operation (thyroid surgery, parathyroid surgery, spine surgery, carotid artery surgery, etc.) and/or who has had a suspected invasive thyroid cancer should have their vocal cord function evaluated routinely before surgery. This is necessary to determine whether the recurrent laryngeal nerves that control the vocal cord muscles are functioning normally. 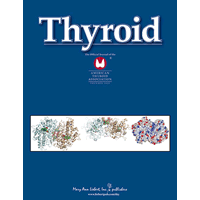 Finally, in rare cases, if medullary thyroid cancer is suspected, patients should be evaluated for endocrine tumors that occur as part of familial syndromes including adrenal tumors (pheochromocytomas) and enlarged parathyroid glands that produce excess parathyroid hormone (hyperparathyroidism). In general, thyroid surgery is best performed by a surgeon who has received special training and who performs thyroid surgery on a regular basis. The complication rate of thyroid operations is lower when the operation is done by a surgeon who does a large number of thyroid operations each year. Patients should ask their referring physician where he or she would go to have a thyroid operation or where he or she would send a family member. damage to the parathyroid glands that control calcium levels in the blood, leading to temporary, or more rarely, permanent hypoparathyroidism and hypocalcemia. These complications occur more frequently in patients with invasive tumors or extensive lymph node involvement, in patients undergoing a second thyroid surgery, and in patients with large goiters that go below the collarbone into the top of the chest (substernal goiter). Overall the risk of any serious complication should be less than 2%. However, the risk of complications discussed with the patient should be the particular surgeon’s risks rather than that quoted in the literature. Prior to surgery, patients should understand the reasons for the operation, the alternative methods of treatment, and the potential risks and benefits of the operation (informed consent). Your surgeon should explain the planned thyroid operation, such as lobectomy (hemi) or total thyroidectomy, and the reasons why such a procedure is recommended. For patients with papillary or follicular thyroid cancer, many, but not all, surgeons recommend total or neartotal thyroidectomy when they believe that subsequent treatment with radioactive iodine might be necessary. For patients with larger (>1.5 cm) or more invasive cancers and for patients with medullary thyroid cancer, local lymph node dissection may be necessary to remove possibly involved lymph node metastases. A hemithyroidectomy may be recommended for overactive solitary nodules or for benign onesided nodules that are causing local symptoms such as compression, hoarseness, shortness of breath or difficulty swallowing. A total or near – total thyroidectomy may be recommended for patients with Graves’ Disease (see Hyperthyroidism brochure) or for patients with large multinodular goiters. The answer to this depends on how much of the thyroid gland is removed. If half (hemi) thyroidectomy is performed, there is an 80% chance you will not require a thyroid pill UNLESS you are already on thyroid medication for low thyroid hormone levels (e.g. Hashimoto’s thyroiditis) or have evidence that your thyroid function is on the lower side in your thyroid blood tests. If you have your entire gland removed (total thyroidectomy) or if you have had prior thyroid surgery and now are facing removal of the remaining thyroid (completion thyroidectomy) then you have no internal source of thyroid hormone remaining and you will definitely need lifelong thyroid hormone replacement. Once you have met with the surgeon and decided to proceed with surgery, you will be scheduled for your pre-operative evaluation (see above) You should have nothing to eat or drink after midnight on the day before surgery and should leave valuables and jewelry at home. The surgery usually takes 2-2½ hours, after which time you will slowly wake up in the recovery room. Surgery may be performed through a standard incision in the neck or may be done through a smaller incision with the aid of a video camera (Minimally invasive video assisted thyroidectomy). Under special circumstances, thyroid surgery can be performed with the assistance of a robot through a distant incision in either the axilla or the back of the neck. There may be a surgical drain in the incision in your neck (which will be removed after the surgery) and your throat may be sore because of the breathing tube placed during the operation. Once you are fully awake, you will be allowed to have something light to eat and drink. Many patients having thyroid operations, especially after hemithyroidectomy, are able to go home the same day after a period of observation in the hospital. Some patients will be admitted to the hospital overnight and discharged the next morning. Most surgeons prefer that patients limit extreme physical activities following surgery for a few days or weeks. This is primarily to reduce the risk of a postoperative neck hematoma (blood clot) and breaking of stitches in the wound closure. These limitations are brief, usually followed by a quick transition back to unrestricted activity. Normal activity can begin on the first postoperative day. Vigorous sports, such as swimming, and activities that include heavy lifting should be delayed for at least ten days to 2 weeks. WILL I BE ABLE TO LEAD A NORMAL LIFE AFTER SURGERY? Yes. Once you have recovered from the effects of thyroid surgery, you will usually be able to do anything that you could do prior to surgery. Some patients become hypothyroid following thyroid surgery, requiring treatment with thyroid hormone (see Hypothyroidism brochure). This is especially true if you had your whole thyroid gland removed. Generally, you will be started on thyroid hormone the day after surgery, even if there are plans for treatment with radioactive iodine.